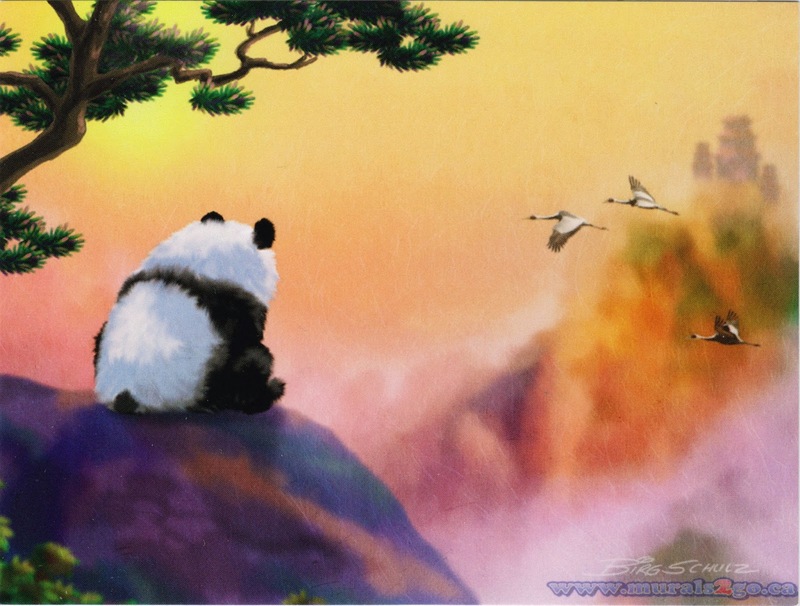 One Postcard a Day: Panda! Postcard US-2598763 to Taiwan shows that a charming Panda looks out over a beautiful valley with cranes flying by, created by Birgit Schulz from London, Ontario, Canada. 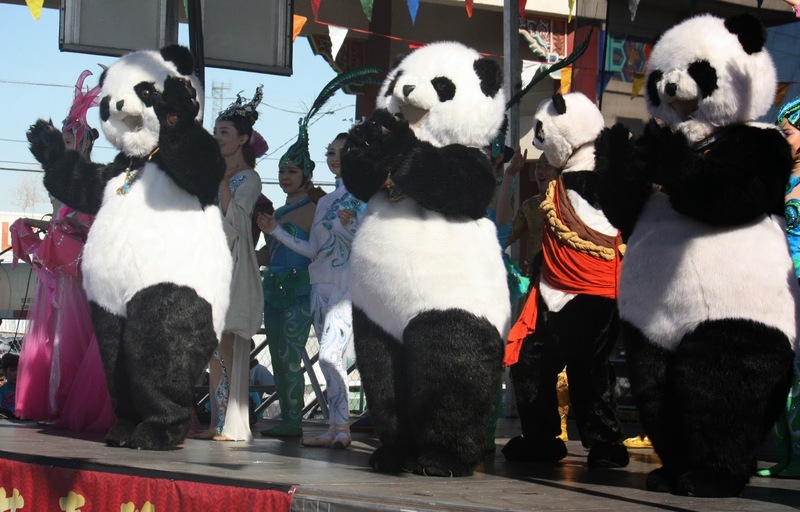 Although unrelated, I was reminded to this card when I saw the crew from Panda!, a new resident show at Palazzo, performing at the Chinatown Plaza in Las Vegas for the Chinese New Year Celebrations today on February 9, 2014. The new show follows the hero’s journey of a panda Long Long, trying to save his girl peacock princess from evil. Director An Zhao, who had involved in directing the opening and closing ceremonies of the 2008 Summer Olympics in Beijing, said in a news release: "We've taken two of China's national treasures, pandas and kung fu, and illuminated them in a visually stunning production that tells an unforgettable and timeless story. Our team couldn't be happier to bring this experience to the international audiences Las Vegas is known to attract." The show's opening was planned for December, 2013 but was delayed by a month due to visa problems. 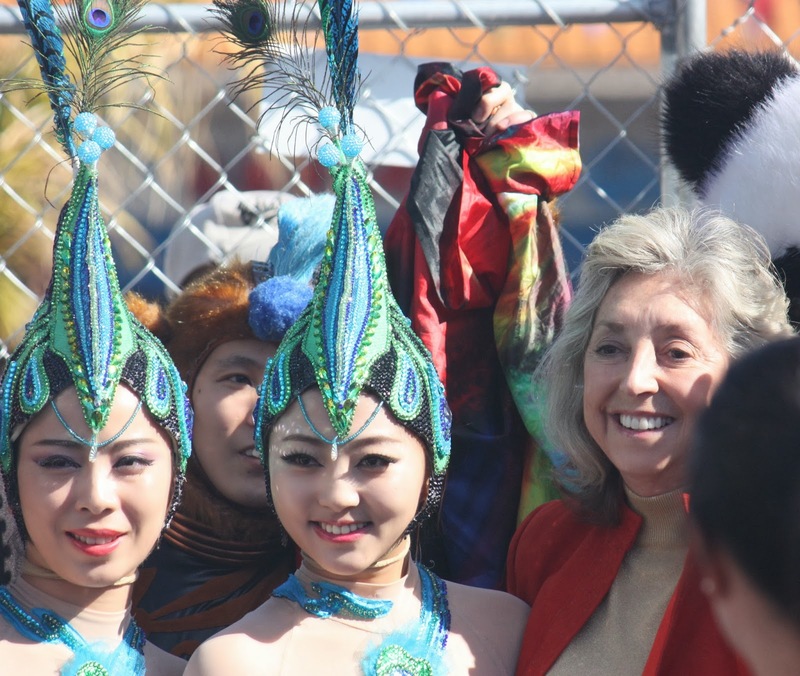 The congressional office of the U.S. Representative Dina Titus was involved to help securing the visa. She was pictured with the Panda! crew at the festival today.